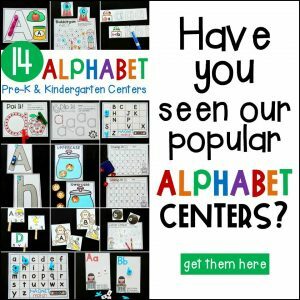 These graphing and measurement centers are perfect for working on early graphing and measurement skills with Pre-K and Kindergarten students! If you are looking for hands-on and engaging measurement activities or fun, easy-prep graphing activities for your classroom – these are for you! 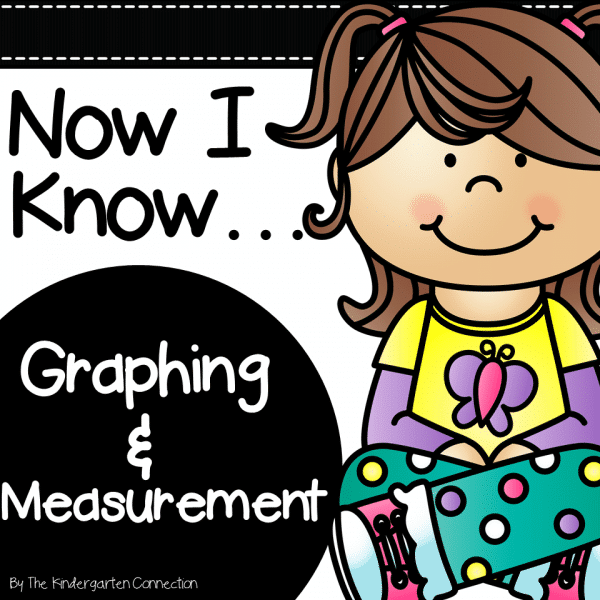 Designed with both Pre-K and Kindergarten in mind, these graphing and measurement activities will give you a variety of centers and options for your students. 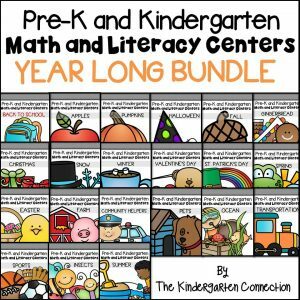 This pack is filled with engaging graphing and measurement centers for Pre-K and Kindergarten students that are NOT themed and can be used ANY TIME of year! (see the preview and description below for full details). Graphing is Sweet – Roll the die. Color a space above the dessert you roll on the graph. See which one gets to the top first! Pet Shop Palooza – Sort the pets and count the total for each. Graph them! Teddy Graph (3 options) – Color the bears in each column to match the die. Roll the die. Color a space above the bear you roll on the graph. See which one gets to the top first! 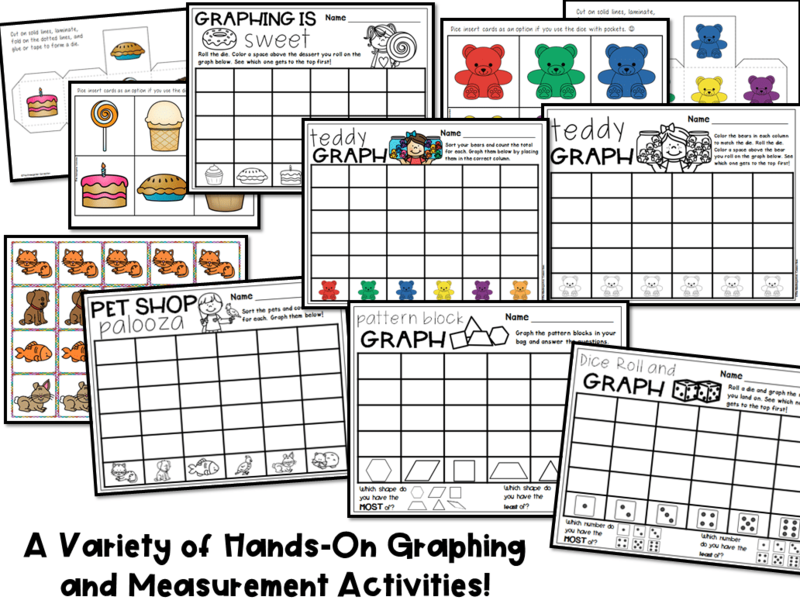 *** other options include a recording sheet for sorting bags of bears, and a recording sheet for placing bears on the graph instead of coloring. 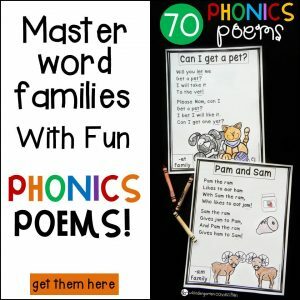 Printable Sorting Mats for Any Items – Use these sorting mats for any items! Erasers, buttons – you name it! 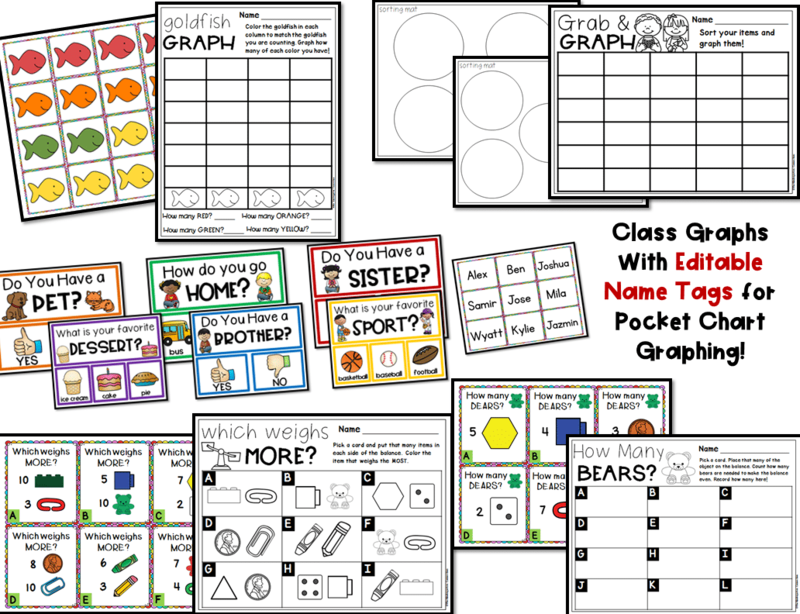 Pocket Chart Class Graphs – 6 different class graphs, with *EDITABLE* student name tags for graphing in the pocket chart! Which Weighs More? – Pick a card and put that many items in each side of the balance. Color the item that weighs the MOST. How Many Bears? – Pick a card. Place that many of the object on the balance. Count how many bears are needed to make the balance even. Record how many! Which is Longer? – Pick a card. Line up that many of each item. Color which item’s line is longer! Let’s Go Walking – Measure how long your shoe is with each item. Write how many of each item you use. Measure the Room – Measure the items around the room with your unit of choice. Write about how long they are on the lines. Monster Measurement – Measure the monsters with your unit of choice. Write about how long they are in the boxes. Light or Heavy? – Choose if the items are light or heavy. Color, cut, and paste them in the appropriate box. 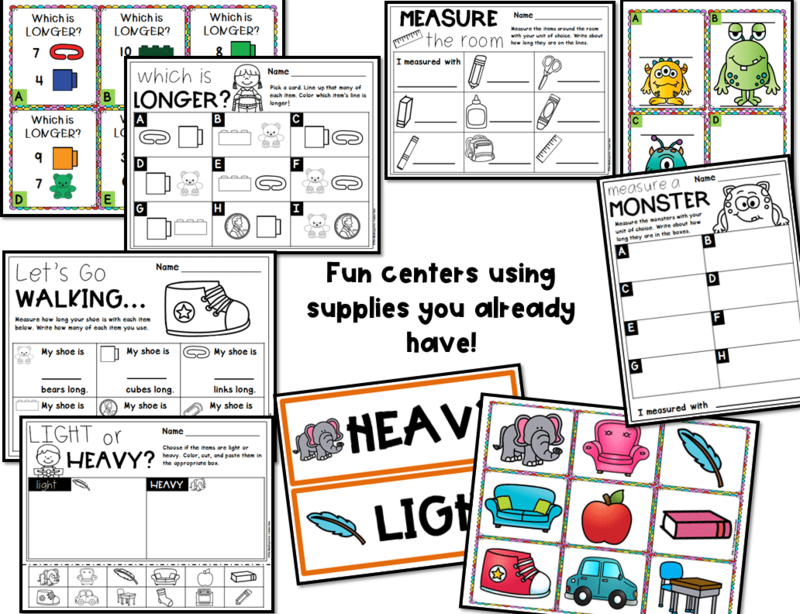 Light or Heavy Pocket Chart Sort – Cut, laminate, and use in a pocket chart before using the cut and paste version for even more practice!